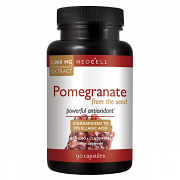 This unique topical Vitamin C antioxidant treatment is formulated with the breakthrough ingredient Phloretin and Ferulic Acid, which helps prevent cellular damage by providing skin with a broad-spectrum defense against UV radiation, free radical damage, and reactive oxygen species (ROS). 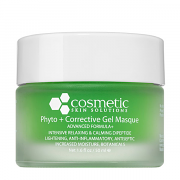 This botanically-based formula is an advanced lightening gel to treat hyperpigmentation by evening the skin's tone, and reducing skin discoloration. 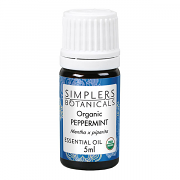 The botanical extracts cucumber and thyme help reduce skin redness and irritation, providing calming, soothing, anti-inflammatory, anti-bacterial, anti-fungal and antiseptic properties. 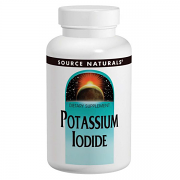 Potassium Iodide is a form of iodine that is preferentially taken up by the thyroid gland. 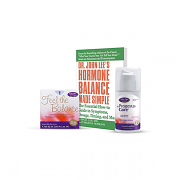 Potassium Iodide is often used to help regulate hypothyroid conditions, as Iodine is a key component in thyroid health. 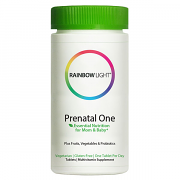 Prenatal One contains essential nutrients in potencies that deliver optimal nourishment and protection for moms and babies throughout pregnancy and nursing. 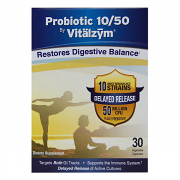 Probiotic 10/50 by Vitalzym contains 50 Billion CFUs of probiotics plus 2 prebiotics. 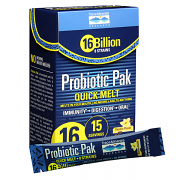 Offers 5 strains of each Lactobacillus and Bifidobacterium — 10 of the most clinically researched probiotic strains in the world. 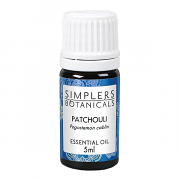 Delayed release of active cultures. 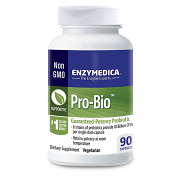 ProFema provides a complete array of vitamins and minerals. 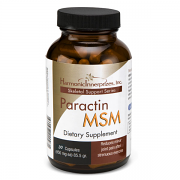 It is also a perfect bone support system, with an ideal balance of calcium and magnesium, and with every other nutrient needed for strong bones. It is a complete green food complex, so that you'll have more energy than you have had in years. 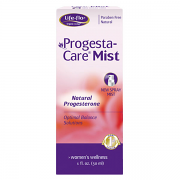 And, of course, it provides the isoflavones and herbs you need to relieve your menopause discomforts NOW. 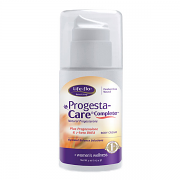 Progesta-Care Complete Cream with bioidential Progesterone plus Pregnenolone and 7-Keto DHEA Acetate for total system support. 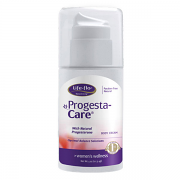 Progesta-Care Estriol Cream with an optimal balance solution of 20 mg natural progesterone and 0.75 mg of estriol per pump dose. 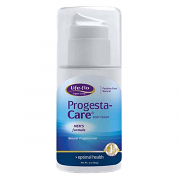 Progesta-Care for Men helps assist in maintaining and optimizing overall health. 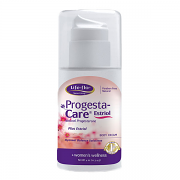 Supplemental progesterone can help promote good prostate health and reduce symptoms of male urinary tract infection. 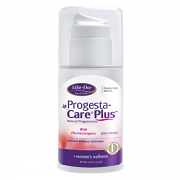 Progesta-Care PLUS contains natural bioidentical progesterone and phytoestrogens for those who need both progesterone and estrogen supplementation.